Great Teacher Gift. 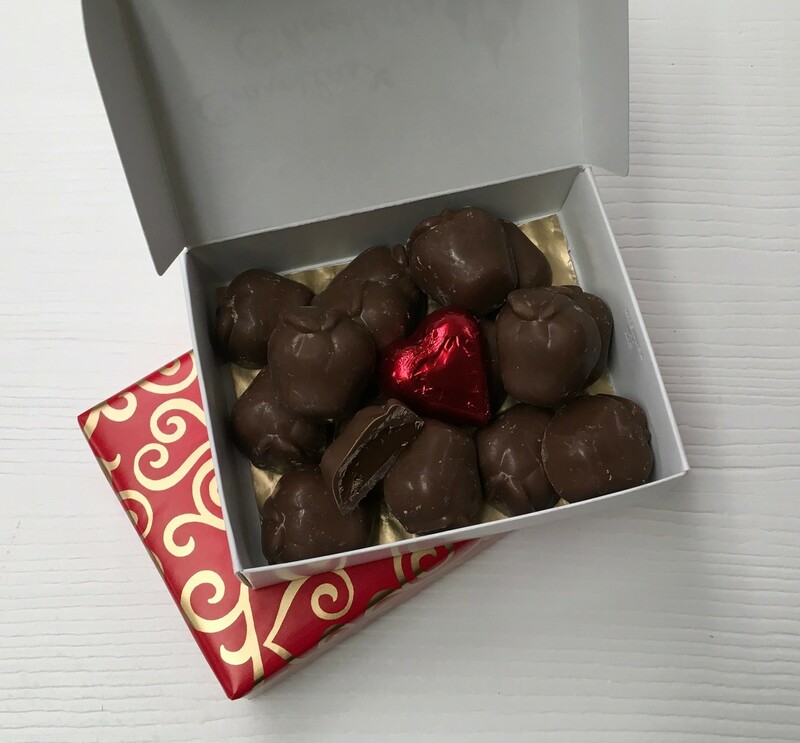 Liquid filled Caramel Apples topped off with a Milk Chocolate foiled heart. Wrapped with bow. Yum!